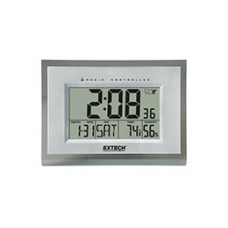 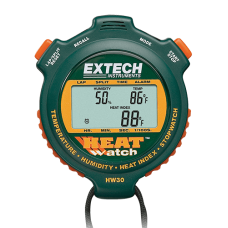 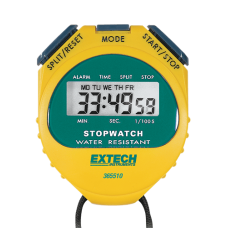 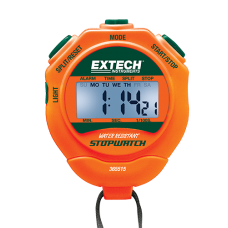 Digital LCD Stopwatch plus Calendar and Alarm The Extech 365510 is a digital stopwatch and clock. 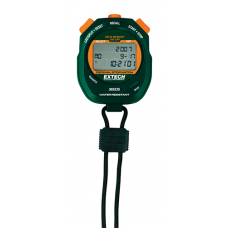 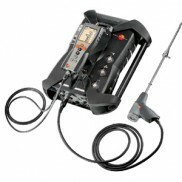 Th..
Digital LCD Stopwatch plus Calendar and AlarmExtech's 365515 is a digital stopwatch and clock. 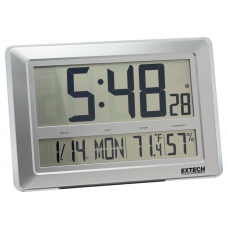 This ..
Water resistant decimal stopwatch/clock with user-selectable resolutions:This Decimal Stopwatch/Cloc..
9"x12" Desktop or Wall-mount Alarm Clock with 5 languagesThis large digit display clock is ideal f..
Large Wall/Desktop Clock with Calendar, Temperature and Relative Humidity Functions:The CTH10 is an ..
Digital UP/DOWN timer displays Temperature, Humidity, and Heat Index: This HW30 multi-function ..